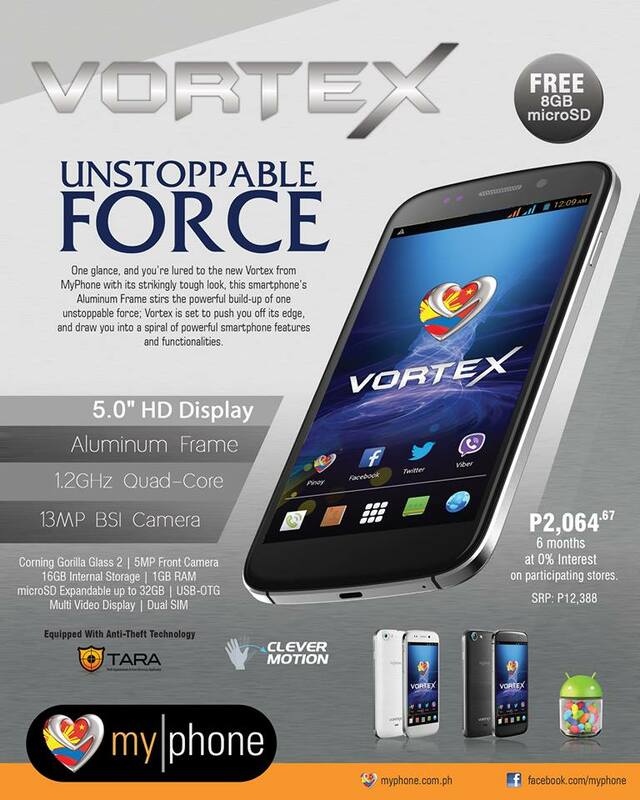 The retail price of this new smartphone is only P 12, 388 with FREE 8GB microSD. You can also avail the MyPhone Vortex for P 2,064.67/month for 6 months or for only P516.17/month for 24 months at 0% interest. Check out this equipment installment plan at any participating outlets. 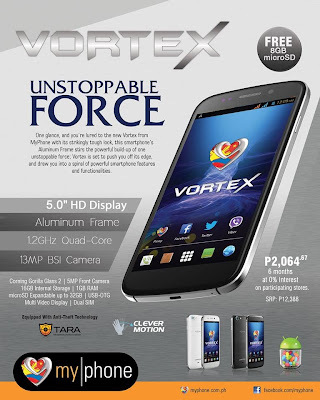 For more details, blog, unbox and review about MyPhone Vortex , check out MyPhone website and their Facebook Page or visit the nearest MyPhone store, kiosk and accredited dealers for other inquiries.